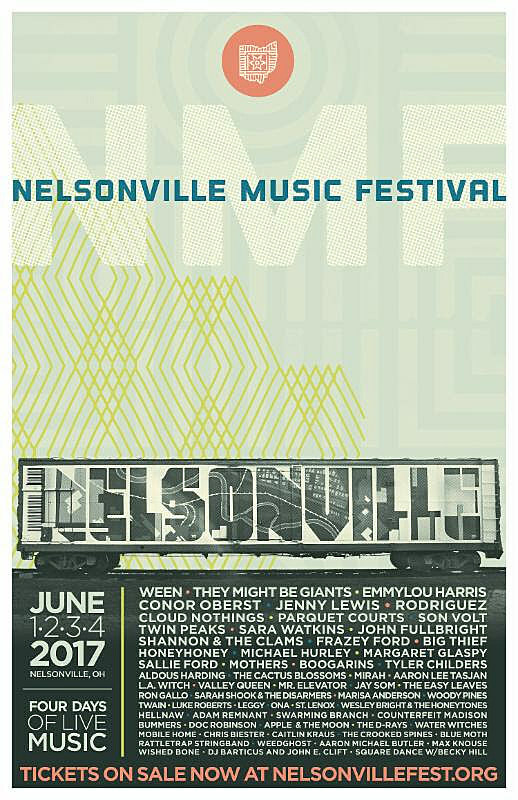 Nelsonville Music Festival returns to Nelsonville, Ohio’s Robbins Crossing on the campus of Hocking College from June 1-4. The lineup includes Ween, They Might Be Giants, Emmylou Harris, Conor Oberst, Jenny Lewis, Rodriguez, Cloud Nothings, Parquet Courts, Son Volt, Twin Peaks, Sara Watkins, Sallie Ford, Mothers, Boogarians, Big Thief, Margaret Glaspy, Shannon & the Clams, Aldous Harding, Tyler Childers, Jay Som, Mirah, L.A. Witch, and more. [It features] 60 musical acts in four days on multiple stages along with on-site camping, artisan vendors, kids activities, food, a beer garden, and more. NMF is a presentation of Stuart’s Opera House, a non-profit historic theater and performing arts center in Nelsonville, Ohio. Billboard has called Nelsonville Music Festival “one of the best kept secrets of the U.S. music festival circuit”, and in our 13th year NMF continues to gain fans who want a music festival with a more personal experience. Set in the beautiful rolling hills of Southeast Ohio, this intimate festival offers live music from a variety of genres on multiple stages from national, regional, and local acts. Catch live music on multiple stages: NMF features a main stage of course, but also a picturesque Porch Stage, the small No-Fi Cabin featuring artists performing with no electricity, and our FREE Boxcar Stage with music from an old train car turned into a stage backdrop and mural. The Nelsonville Music Festival strives to have a positive impact on our community and environment and we are a Zero Waste event, diverting 92% of the waste created at the festival from the landfill in 2016 with recycling and composting. All kids 12 and under are free and the festival features a huge kids area with activities all weekend.